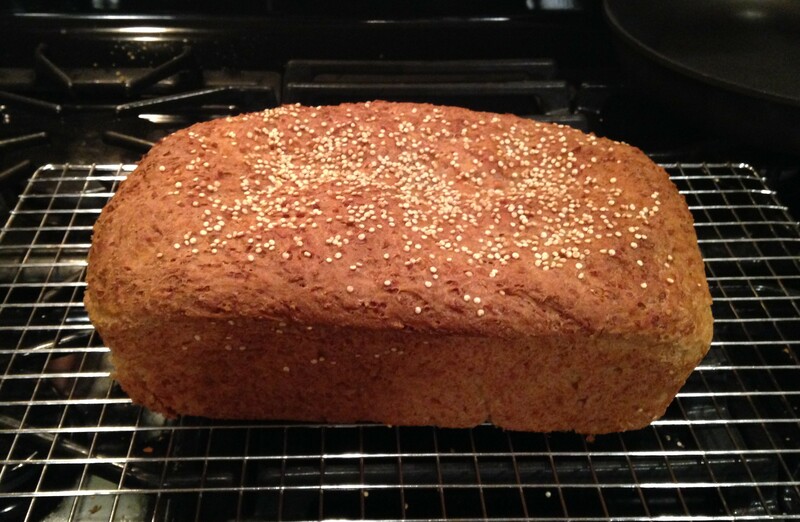 I originally made this bread for a school history assignment in which I had to research quinoa. It was my first time baking my own bread, and I have to admit that I was pretty excited. I think that it came out great for a first attempt, and I can’t wait to experiment with more recipes. This bread is hearty and healthy, as it has both quinoa and oats in it (not to mention it contains no sugar– only honey!). The resulting loaf is perfect for breakfast or for sandwiches, and slices beautifully. It is relatively simple to make, though bread-making is always a long process (as you have to allow the dough to rise). However, the result is well worth the wait, and there’s nothing quite like eating a slice of warm, homemade bread if you ask me. The recipe is from southamercianfood.about.com and can be found here. NOTE: The loaf (sliced up and in a Ziplock bag) has kept wonderfully in the freezer for quite some time. Now whenever I want a slice, I can just pull one out and pop it in the toaster. 2 tablespoons raw quinoa for sprinkling on top of loaf. NOTE: I don’t believe this is necessary, though it does give the finished loaf a nice look. 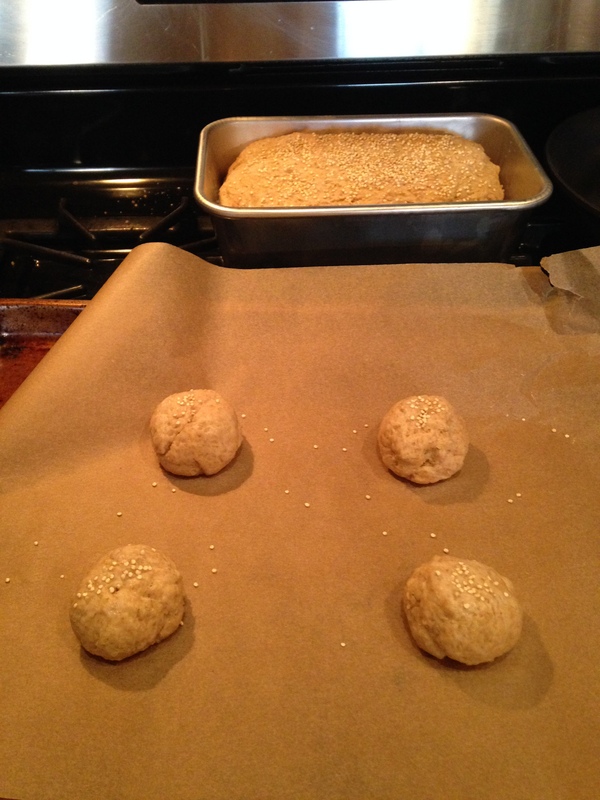 A lot of the raw quinoa fell off of the baked bread– and all over the kitchen floor (! 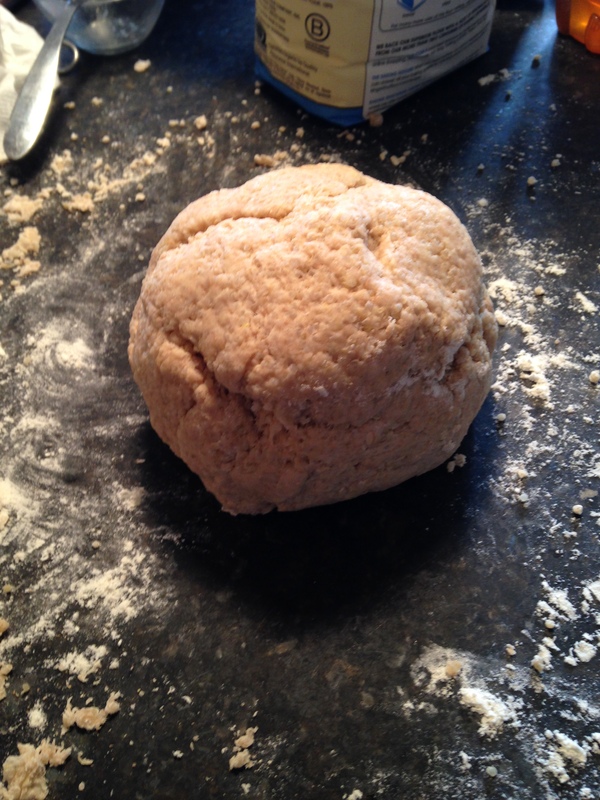 )– as I packed it up, so if using I would definitely suggest pressing the grains into the dough a fair amount. Cook the quinoa in 2 cups of water for 10 to 15 minutes, until the water is absorbed. Cool to room temperature. Cook the oatmeal in the water and milk until liquid is absorbed. Let cool. Place 3/4 cup warm water in a large bowl (or bowl of a standing mixer) and sprinkle yeast over the water. Let rest 5 minutes. Add 1 cup of the bread flour and the salt and stir well. Add the cooked quinoa and oatmeal and stir. Add the whole wheat flour and 1 cup more of the bread flour and stir. When the dough starts to get stiff, turn out onto floured surface and begin to knead. (If using a standing mixer, continue to knead with dough hook). Keep adding flour and kneading until dough is smooth and elastic, about 5 minutes with a mixer, or 10 to 15 minutes by hand. Dough should feel slightly sticky but should not be wet and slack. You should be able to form it into a ball and it should hold its shape. Lightly oil a large bowl with vegetable oil and place bread in the bowl, turning to coat lightly with the oil. Cover the top of the bowl loosely with saran wrap. Oil a large loaf pan (11 inches by 6 inches). NOTE: My pan was slightly smaller, but it didn’t seem to make a difference. Punch down dough and shape into a ball– and when I say punch, I mean punch! Get angry at it! I had a bit of extra dough (my pan was small), so I formed a few rolls and baked them along side the loaf! just keep an eye on them– they won’t take as long as the bread. Pat/flatten into an oval shape about the length of the bread pan. Fold long sides in and tuck them underneath as you place the bread into the pan, so that the top surface of the bread is smooth and without seams. Brush top of load very lightly with water and sprinkle with quinoa seeds. NOTE: Again, if using I would recommend pressing the grains down into the bread a bit. Let rise in warm place (i.e. top of the oven) until bread has almost doubled in size. Preheat oven to 400 degrees. When oven is hot, place bread in center of oven. Throw a handful of ice cubes into bottom of oven to create steam. NOTE: Make sure not to open the oven door while baking, as you don’t want to lose any of that precious steam! Bake for 30 minutes. 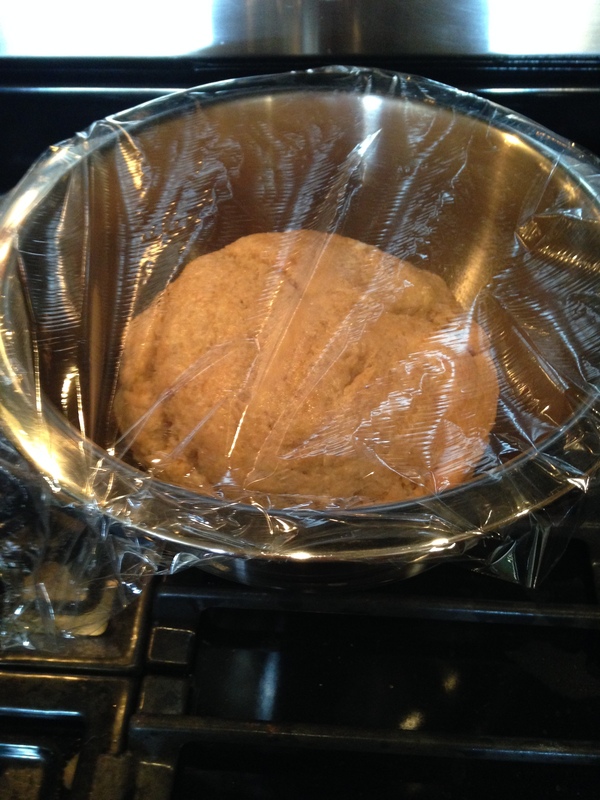 Cover bread loosely with foil if the top is getting too brown and bake 15 minutes more. Bread should sound hollow when tapped. Let cool in pan for 15 minutes. Remove from pan and let cool completely (I did so on a wire rack). That’s about it! Any suggestions for what I should bake next? Feel free to post a comment below. I’ve been thinking of trying out some blueberry muffins, or maybe Linzer cookies. But for now, happy nibbling! yum!!! I love that quinoa bread!